Were you concerned that people would be put off by the story you were telling? It’s difficult material, your family with its two lobotomies. I was worried all the time. 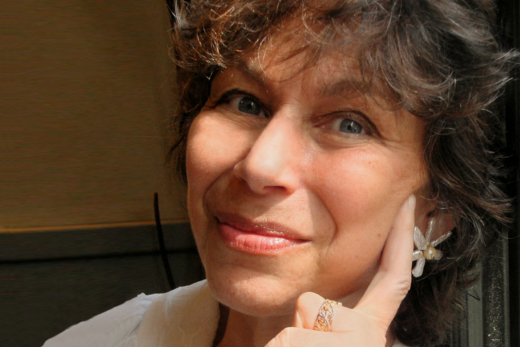 I knew that life had given me an incredible story to tell—six siblings, two lobotomies: one third of my mother’s family. Incredible, yes. But who would want to read that? I’d tell people what I was writing and watch as they turned green when they heard the word lobotomy. But it turned out that there was a story behind the story. People have since come forward to tell me they too come from families with mental illness. Allen Ginsberg, whose mother was lobotomized, wrote: “It would seem odd to others…that is to say, familiar—everybody has crazy cousins and aunts and brothers.’ What I first thought was strange turned out to be a universal story. Lobotomy is a discredited operation. Why do you think the story matters now? When I began my investigation, I assumed that lobotomies produced only zombie-like people. But I learned that sometimes the operation provided genuine relief. However, one trade-off remained constant: the lobotomized were left indifferent. In the twenty first century, indifference has become a way of life throughout the Western world. In a culture that supports indifference, how can we sustain empathy? Lobotomy casts its shadow forward. In a culture of indifference, we are at risk of dehumanizing others and ourselves as well. Those six siblings were your mother and aunts. What about your own story? How does that come in? I was a child of lobotomy. Growing up, I took my lobotomized relatives for granted. Years later, the penny dropped and I realized there was nothing normal about my childhood. Writing this book has been both investigation and reckoning: How had my relatives made the choices that resulted in the two lobotomies? How had I survived? One night I woke up from a dream and saw a huge X in front of my eyes. One diagonal was my family, the story of my lobotomized aunt and uncle slashing downward. The other diagonal was myself. In a sudden moment of clarity, I saw the intersection, the crossing place where my family and my story came together. With that vision of the X came the realization that what moved me to that upward slant was a creative life. Writing this book, I discovered a lobotomy lineage: Tennessee Williams, whose sister was lobotomized, transformed her story into “The Glass Menagerie;” Allen Ginsberg turned his mother’s story into his long poem, “Kaddish.” Writing is salvation. Was it difficult turning your own family members into characters? I didn’t have any perspective on my family until I went to a friend’s workshop on the Enneagram, that remarkable system of understanding personality by which people have a dominant note (given a number for easy reference), and also have “wings” that connect to other personalities. Five sisters—never mind that they’re my mother and aunts. I tried to find each one’s dominant note, and her connections to each of the others. An example: I realized that my aunt Minna was an Enneagram 9, the compromiser who tries to hold everyone together but never wants to rock the boat. When my aunt Francie pleaded with her to help, Minna refused to intervene. My family members began to stand outside of me and instead become characters with motivations and conflicts that I could work with. Did you confront similar issues with your earlier memoir, Phantom Limb? After a writer has confronted a writing problem and solved it for that book, she may have the illusion that it’s nailed it for all time. But the same issues keep turning up. So much of the work is done semi-blindly each time. It took you eleven years to write White Matter. Was it worth it? Yes. It was worth it. Not only for the result, which is the book. But also for my life and the way it changed through the process of writing. It’s never about “just” writing. If a writer is honest (and what else is the point, in a self interview), the life and the work can’t be separated. It’s a constant grueling thrilling grinding pushing pulling, the one with and against the other, the writer feeling like Jacob wrestling with the angel, going down for the count, then getting back up. Then there’s that other Jacob story: the writer keeps climbing the ladder that leads to her heaven. 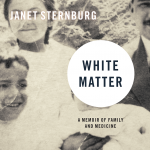 JANET STERNBURG is a writer of memoir, essays, poetry and plays, as well as a fine-art photographer. She lives and works in Los Angeles and San Miguel de Allende, Mexico. 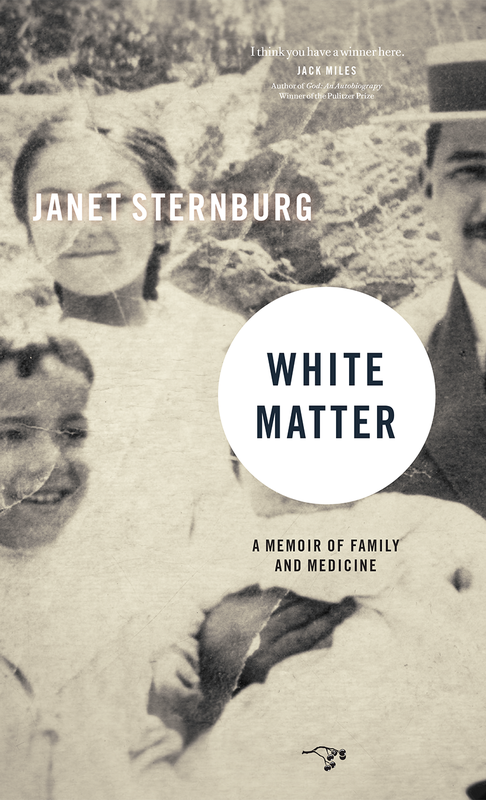 Her memoir, White Matter: A Memoir of Family and Medicine publishes this month from Hawthorne Books.